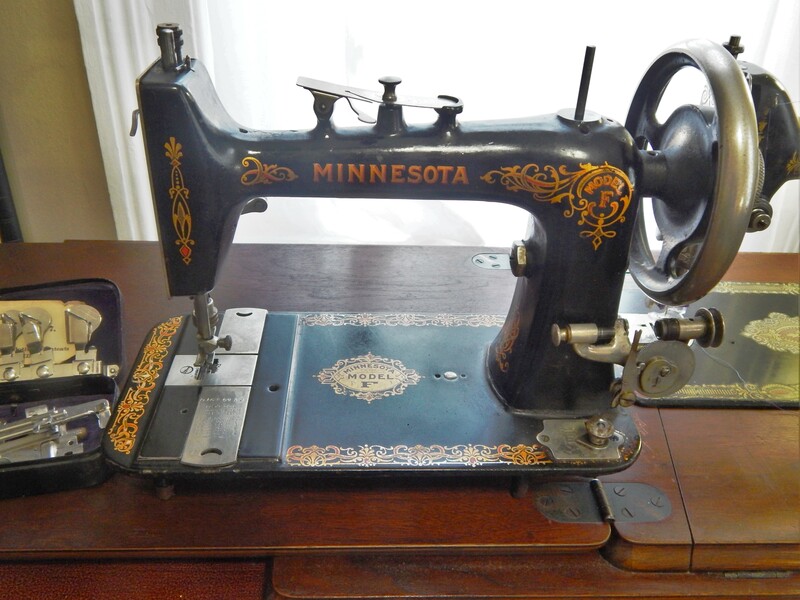 This entry was posted in ETC, Garden, Quilts and tagged antique sewing machine, Garden flowers, Minnesota Sewing Machine, Spring Flowers, treadle sewing machine. Wow! Another machine… I was thinking of you this past Sat. Stopped at a fairly new antique shop and picked up a 1917-1918 Western Electric in a wooden case. Pretty good shape, but haven’t had time to see if it works. For $40, couldn’t resist. The garden is looking great. 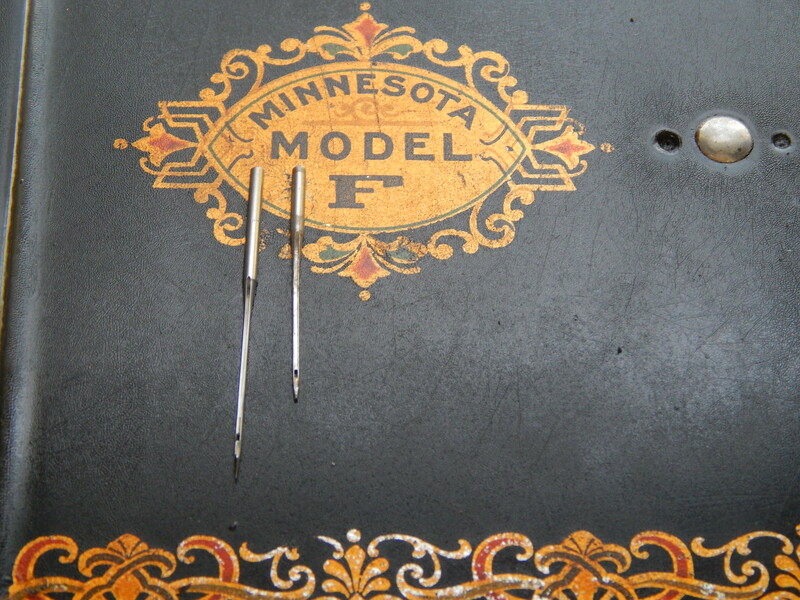 Could you make an “extension ” to fit over the shaft of the standard singer needle? Gosh, Tim, those needles are like daggers! 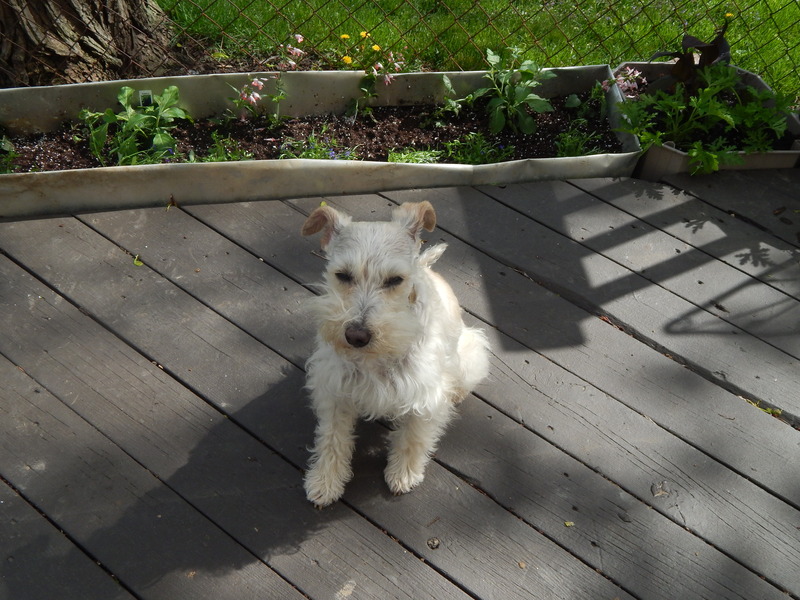 Your garden looks terrific. What beautiful decals on that machine. 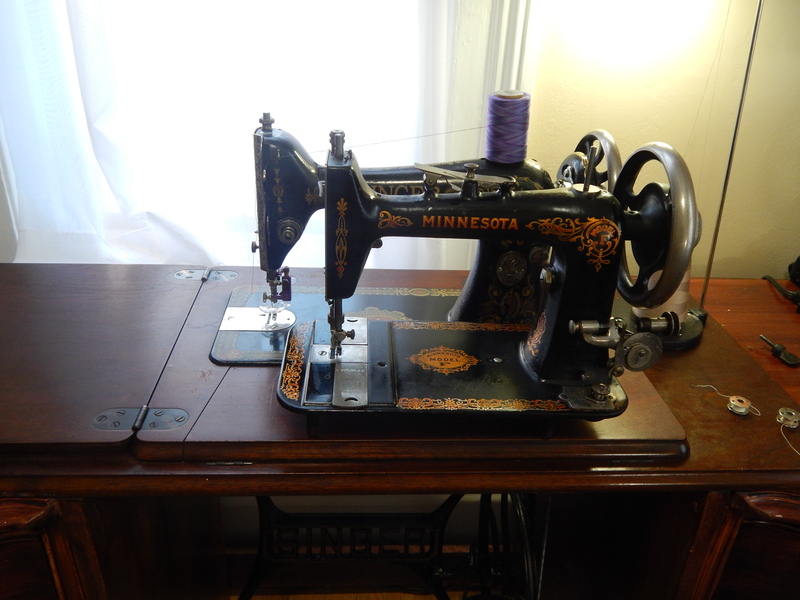 There is a treadle in my future, I just know it! When the time is right, it will show up. Your garden is so beautiful, I want to do some work on mine. Thanks for inspiring me today. Tim just what are you going to do with all of these sewing machines? Will you end up selling them? Nice machine. Give Teddy a snuggle for me. LOL….teddy is so funny…..and he seems like he cant even see the TV……I point t it sometimes and try to get him to look t it but he casts like it isn’t even there….sometimes he gets excited if he hears a dog bark on the tv…..but he runs to the door and windows to see where it is…..
Wow those are some long needles! Alright! I have a ‘Minnesota E’ machine. In research I’ve done, Sears slapped any decal they wanted on the machines when they came in, so there is plenty of variety in what you actually got. I have no idea who actually made mine. It has a matte finish, and no shiny decals. I did clean it and sew without plugging it in, and it seems operable. Wouldn’t dare plug it in without having someone look at the cord. This machine is great. I enjoy reading about your discoveries. keep it up because it’s so interesting to me. Your garden looks great. We have had rain every day. 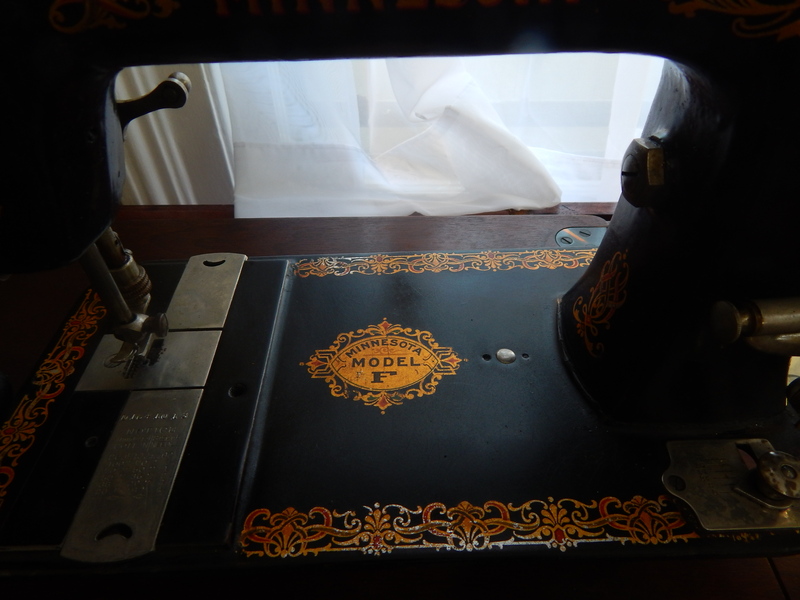 Can’t mow the lawn for the past week and half..
My Gold Hibbard treadle was made by Davis too. I was able to get some long needles on eBay.